The Berkley Powerbait MaxScent D-Worm is the ideal worm for dropshot and shakey head rigging but will also excel for other finesse applications. Thinner than most other worms to provide a better movement and action while retaining durability to hold up to fish after fish. The new innovative soft plastic composition allows for not only increased action but a flavor release that draws fish in and makes them hold on even longer than traditional Powerbait. When fishing tough conditions where finicky fish get lock jaw try the Berkley Powerbait MaxScent D-Worm. PowerBait MaxScent line of baits release a super-charged scent field attracting fish in a way never before seen. 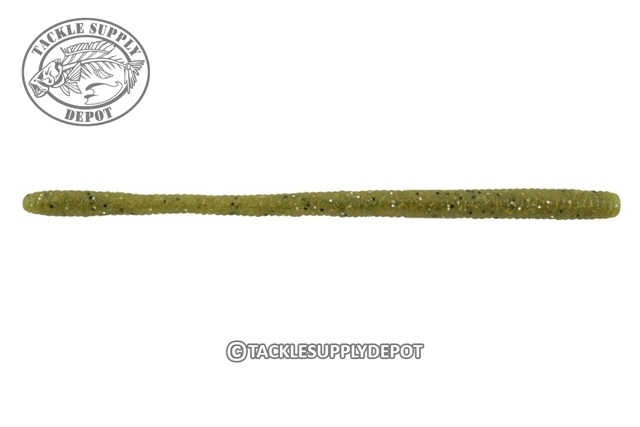 This all-new material is perfect for finesse presentations with ultra-realistic texture and natural matte colors to fool the hardest to catch fish. The soft yet durable material provides for life-like action and easier hook-ups producing multiple fish on each bait.